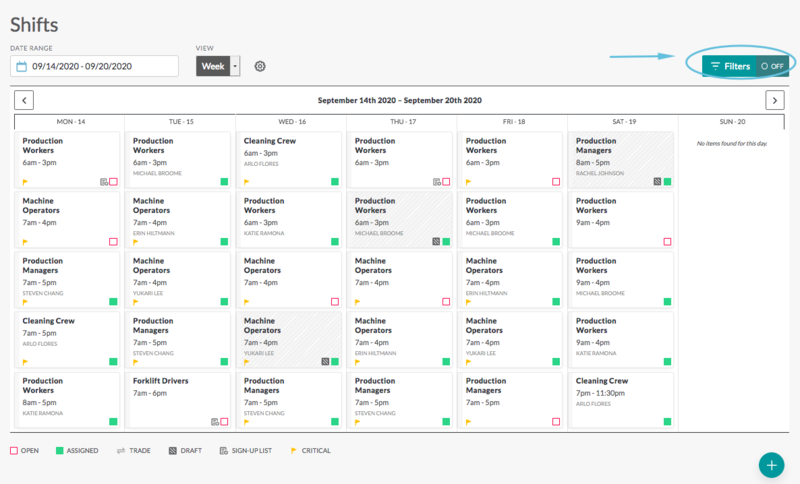 The calendar lets you view, add, and modify shifts. Icons make it easy to see a quick shift status, such as whether a shift is open or assigned . 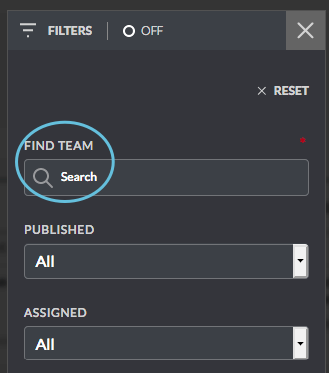 Filters simplify the view to drill in on a person, workgroup (team), location, and more. Open—A white square with a red outline indicates that the shift is available or not yet assigned. Shifts can be assigned, or published for pickup by team members. Trade—Two opposing gray arrows indicate that a shift is up for trade. 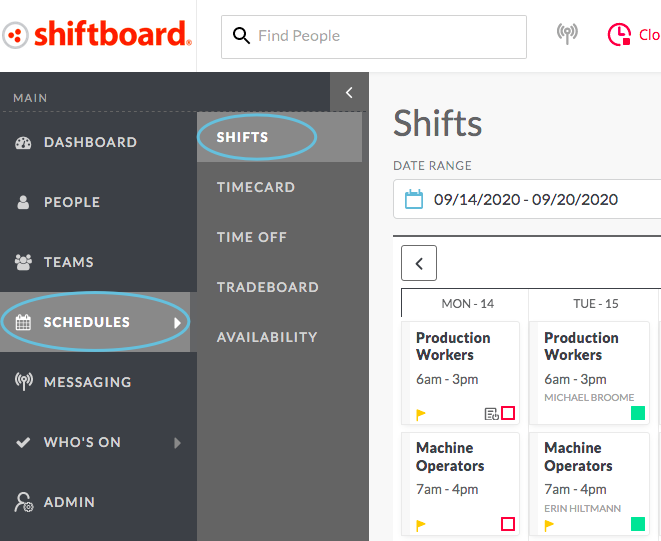 The Tradeboard site settings must be set to allow people to trade shifts. Draft (unpublished)—A gray box with white diagonal lines indicates draft shifts that have not yet been published. Sign-up list—A list icon indicates that a sign-up list has been enabled for this shift. 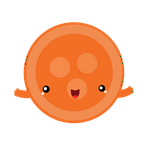 People can express interest in the shift by adding their name to the sign-up list. People are then selected from the sign-up list for shift assignment. Critical—A yellow flag icon in the lower left corner indicates shifts that are critical to fill. 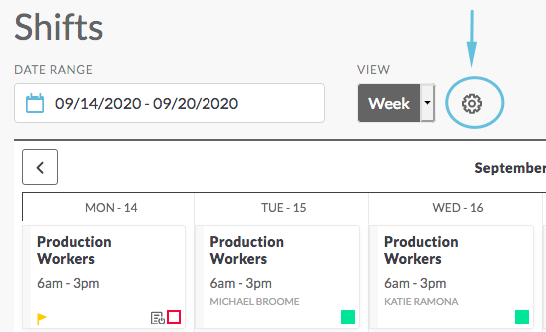 The datepicker allows you to select which day to start the week and staff calendar views. When you select a new date in the datepicker, then the calendar will change its display to begin on that date. 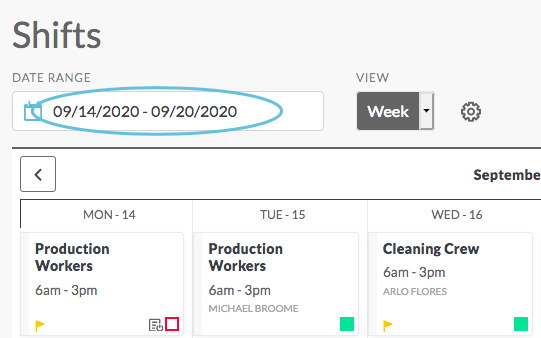 For details on how to use the datepicker, see Viewing the Calendar—Date Range / Datepicker. It is possible to view the calendar by week, day, or staff. For more details on each of the calendar views, see Viewing the Calendar—Calendar Views. For more details on each of the calendar views, see Viewing the Calendar—Filters. 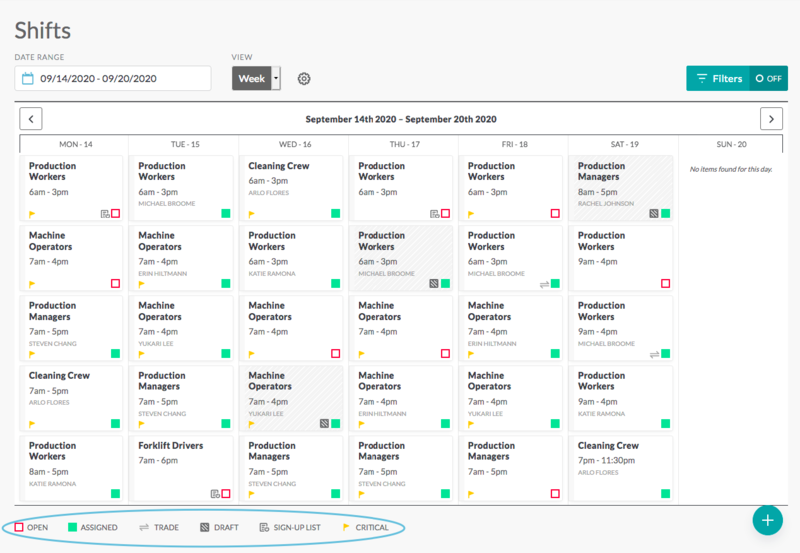 The calendar shows basic shift information, such as workgroup (team), shift time, and shift status. To see additional details, click on a shift from within the calendar to open the Shift Details page. For more details on each of the calendar views, see Viewing the Calendar—View Shift Details. 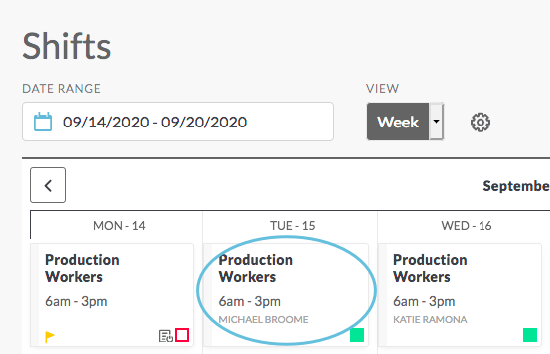 As mentioned in the overview section, each shift on the calendar shows the workgroup (team), shift time, and the person’s name who is assigned to the shift (if assigned), along with status icons along the bottom. 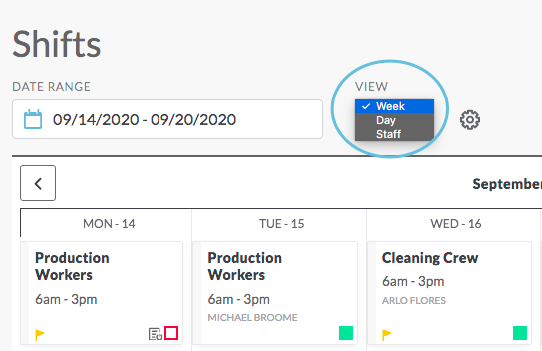 Shiftboard allows you to add up to three additional fields to be viewed on the main calendar. 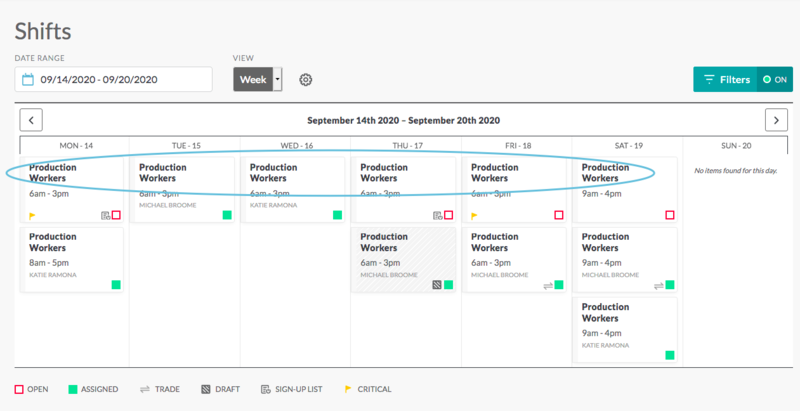 For more information on how to adjust the calendar views, see Customizing Calendar Views.